Students gathered around a student organizations table during Orientation. 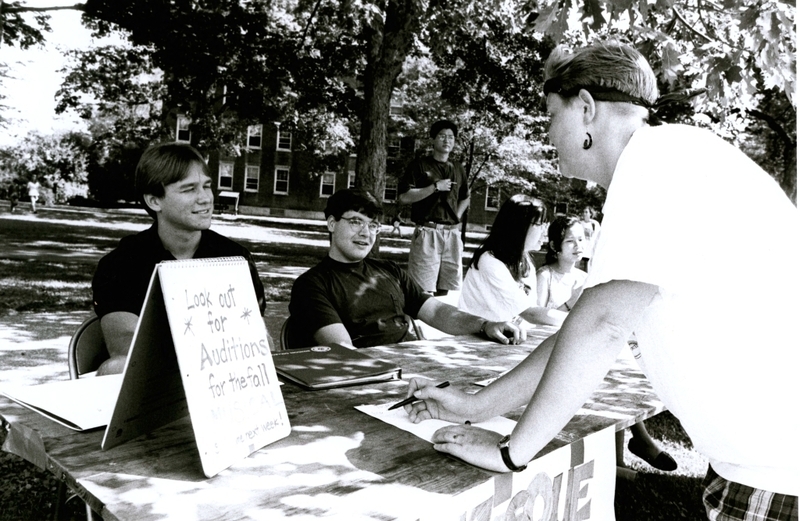 Seated left to right: Michael J. Starr '94 and George H. Russell '95. Standing far right: Rebecca L. Rush '94.